Understanding your expanded role in the life of your elderly cat is essential to helping them age gracefully. At your next visit, one of our veterinarians would be happy to give you some insight and guidance on how to ensure your cat enjoys a smooth transition into its elderly years. If you witness or suspect any changes in behavior or routine for your mature, senior or geriatric cat, we recommend coming in to speak to one of our Veterinarians immediately. At Lowell Animal Hospital, our compassionate and supportive veterinary team is here to help you in any way that is in the best interests of you and of your feline companion. We understand this is a very difficult time regardless of the situation. You have lived with your cat for a long time, you have a strong bond with your cat and the grief process is real and should be taken seriously. Please contact us for information about end of life services. We are here to help our furry feline patients age gracefully, peacefully and comfortably by offering comprehensive senior cat care services. 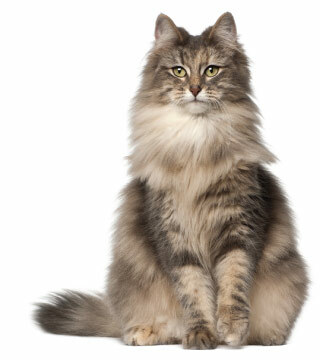 Aging cats rely on the love and care of owners and a good veterinary support staff as they grow into their later years. We have helped better the lives of thousands of aging cats, while bringing peace and happiness to their human caretakers. Come see us with your senior cat today!